In 2007, 3,443 unintentional drownings occurred in the United States, according to the Centers for Disease Control and Prevention. Tragically, drowning is the second leading cause of accidental death of American children ages 1 to 19, and most of those deaths occur in residential pools, reports the CDC. Many deaths from drowning are preventable by following basic safety rules for swimming in pools and natural bodies of water. The American Academy of Pediatrics endorses formal swimming instruction for most children ages 4 years and older. Teens and adults who don't know how to swim should learn to do so and restrict wading or bathing to shallow water only and in the presence of a lifeguard. Children should never be allowed to swim unsupervised by adults anywhere. 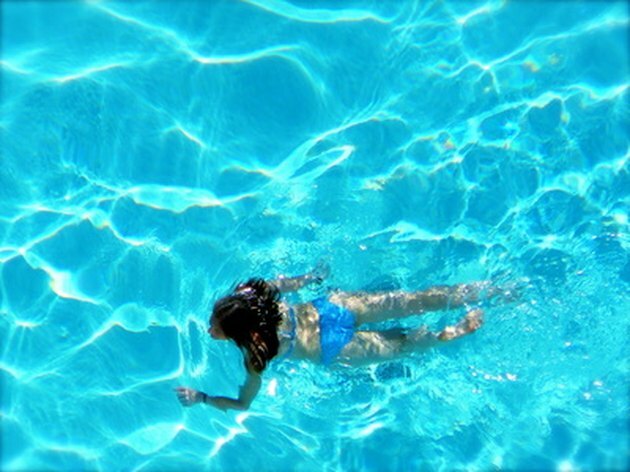 MedlinePlus reports that drowning can happen quickly and silently in as little as 2 inches of water. The CDC reports that most accidental drownings of children ages 1 to 4 occur in residential pools and most of those victims were reported seen within the home less than five minutes prior while in the care of at least one parent. Adults who are supervising children should remain alert, vigilant and never turn away or get distracted, not even for a moment. When swimming in bodies of water other than residential pools, swim only when a lifeguard is on duty and in areas designated for swimming. Parents of young children and nonswimmers should carefully supervise their children even in settings where a lifeguard is present. All swimmers should respect the rules for swimming in a given environment and follow the directives of the lifeguard. Even strong swimmers can succumb to the effects of alcohol and drugs while in the water. Being under the influence of either or both seriously impairs judgment and coordination and increases the risk of injury or drowning. As tempting as it may be to catch some time alone in the backyard pool, deserted lake or ocean, do not do it. Accidents happen even to young, strong, healthy individuals who are good swimmers. Always swim with a buddy in a residential pool and with a lifeguard present in any other pool or body of water. Never swim during a thunderstorm. Follow lifeguard instructions for exiting the pool. If swimming in a residential pool, exit the water immediately when you hear thunder. Lightning often strikes water and water conducts electricity. If you swim and lightning strikes, you risk serious injury or death. As fun as it is to swim with friends or family, refrain from horseplay such as dunking, hanging on to someone or allowing them to hang on to you while in the water. Horseplay can lead to injury while in the water, thus increasing the risk of drowning. The American Academy of Pediatrics warns that inflatable toys, rafts, air mattresses and water wings should never be used as lifesaving devices for children and that only life jackets and life preservers approved by the U.S. Coast Guard should be used. Always wear an approved life jacket when boating, even close to land. It is a good idea for adults, especially those who are parents or who care for children, to learn basic first aid and CPR. Rescue measures can mean the difference between life and death, especially for families with residential pools. The CDC recommends four-sided pool fences at least 4 feet high with self-closing, self-latching gates unreachable by children and that open outward.